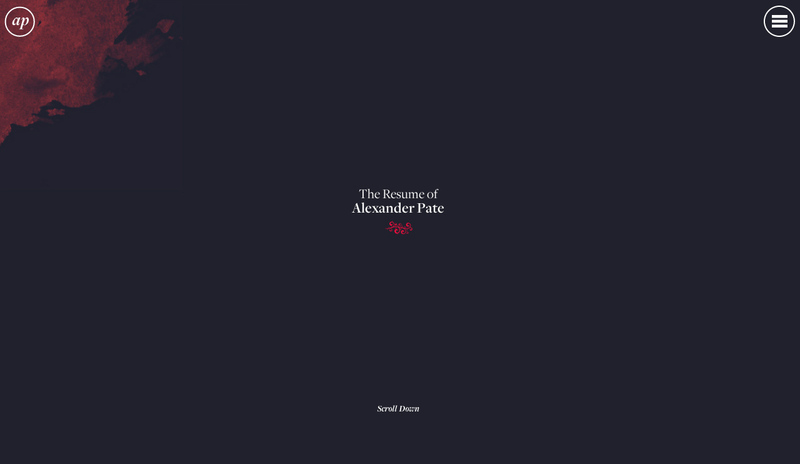 One Page résumé for UK front-end dev, Alexander Pate. It is really basic and lacks a proper work section but wanted to feature because of the unique off-canvas menu that actually zooms the site out on hover, pretty cool. This is also the official launch of our new Résumé category due to the increasing number of CV One Pagers being submitted. Developed using SASS. Handled by backbone.JS. The site is designed to be separate to the main site, hence the different use of typeface and colour scheme.